The bands debut album is recorded in Studio Sunlight by Tomas Skogsberg. It's hard and aggresive metal with atmospheric and melancholic passages. 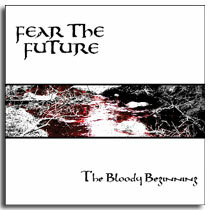 Please visit www.fearthefuture.se or www.myspace.com/fearthefuturesweden to listen to some tracks.